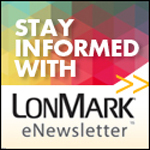 If you're looking for news regarding LonMark International and its members, you've come to the right place! Whether you are looking for Press Releases, Industry News, Calendar of Events, Case Studies, LonMark Magazine or Newsletter, simply follow the navigation links to the left or the hyperlinks below to access the most up-to-date information. If you would like to receive future LonMark news via email, please submit your contact information using our Online Request Form. LonMark members should login to the Member Area for member only opportunities. Only members may submit articles and press releases for inclusion on this website, and participate in Industry Events. If you are a LonMark member and do not have a vaild Username and Password, please submit the Member Area Request Form. The hosts of the Control Trends podcast discuss the LonMark community, its global reach, and its dedicated user base. Listen to the discussion here.